Here's a great vintage car we repaired here at Pro Pacific. 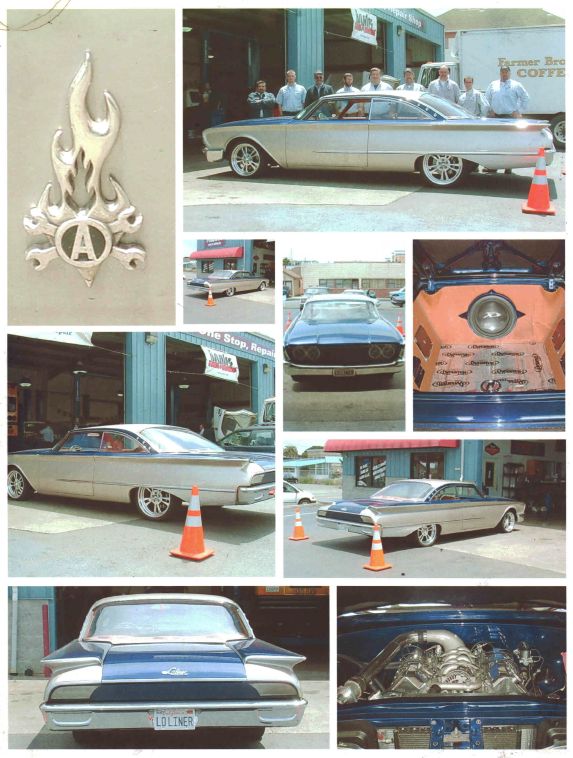 It's a customized 1960 Ford Starliner, now known as the "Lo-Liner!" The elegant Galaxie Starliner 2-door hardtop was Ford's choice for NASCAR racing. The 1960 full-size Fords abandoned the ostentatious ornamentation of the 1950s for a futuristic, sleek look. Round taillights were replaced by half-moon shaped taillights for 1960 only. There were tailfins still, but smaller ones – the focus of Ford's stylists abandoning, as did the rest of the industry, the aviation influences of the previous decade and instead capturing the new obsession – the Space Race.